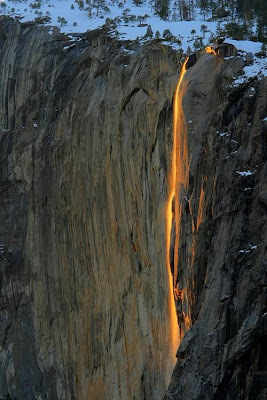 In Yosemite National Park, during the last two weeks of February, orange sunsets are reflected in the falls of El Capitain each evening, making the cascading water look like it’s on fire. How cool is that? 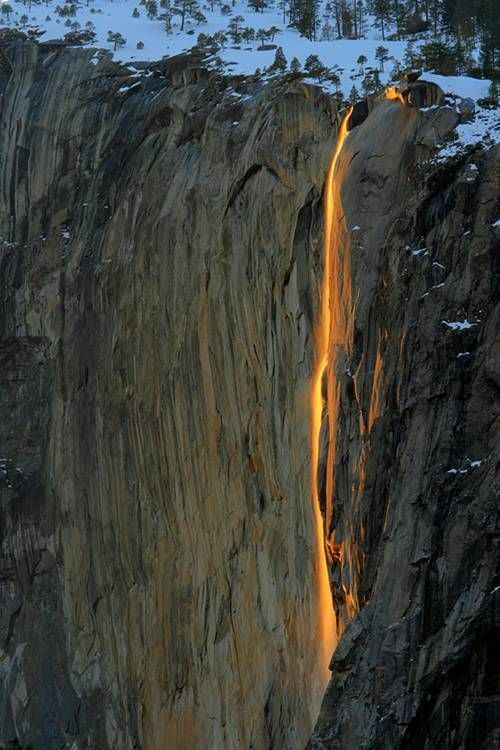 Actually, those are coals being dumped off a cliff... sorry to disappoint, still cool looking isn't it. They don't allow that show any more, so pictures are all we have. These are real pictures of the sunset reflecting off the falls the last two weeks of February, not the fire dumping that was done (in a different location) and discontinued in 1968. 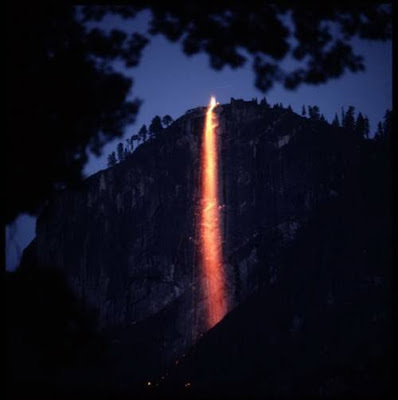 The person listing the Snopes URL didn't read the whole article, it seems, that there are two types of "firefalls" and the real one still exists to be seen and photographed. 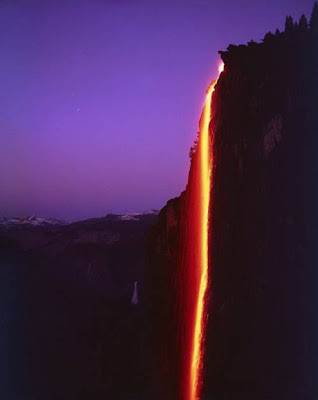 Actually your first photo is the 'Firefall', being that that is Glacier Point and not El Capitan. But, yet, the other photos are of the sun reflecting off a waterfall.